Definition at line 22 of file time.c. Definition at line 102 of file time.c. Definition at line 100 of file time.c. Definition at line 257 of file time.c. Definition at line 234 of file time.c. Definition at line 178 of file time.c. Definition at line 125 of file time.c. Definition at line 198 of file time.c. Referenced by GetTickCount(), RtlTimeToTimeFields(), and SetSystemTimeAdjustment(). Definition at line 106 of file time.c. 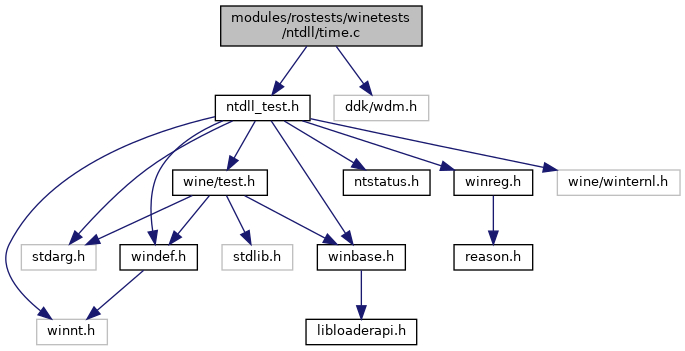 Referenced by ddraw1_GetMonitorFrequency(), ddraw2_GetMonitorFrequency(), ddraw4_GetMonitorFrequency(), ddraw7_GetMonitorFrequency(), DECLARE_INTERFACE_(), ProcessPlayingNotes(), test_buffer(), test_NtQueryPerformanceCounter(), and wined3d_cs_emit_set_stream_source_freq(). Definition at line 111 of file time.c. Definition at line 123 of file time.c. Definition at line 105 of file time.c. Referenced by _getsystime(), _setsystime(), CKsClockForwarder_ThreadStartup(), clock(), ClockPropertyCorrelatedPhysicalTime(), ClockPropertyCorrelatedTime(), ClockPropertyPhysicalTime(), ClockPropertyTime(), CompBattQueryInformation(), CCabinet::ConvertDateAndTime(), ElfReportEventA(), ElfReportEventAndSourceW(), ElfReportEventW(), ElfrIntReportEventW(), ElfrReportEventA(), ElfrReportEventAndSourceW(), ElfrReportEventW(), ExpAllocateUuids(), ExpUuidGetValues(), ExUuidCreate(), FatConstructDirent(), FatFatDateToNtTime(), FatFatTimeToNtTime(), FatGetCurrentFatTime(), FatSwapDirEntry(), FatSwapFatXDirEntry(), FormatDateTime(), FrLdrHeapAllocateEx(), FrLdrHeapFreeEx(), GdiSAPCallback(), GetCurrentDayOfMonth(), GetCurrentTimeInSeconds(), GetLocalSystemTime(), GetNtTimeout(), GetQueuedCompletionStatus(), GetTimeAsJobTime(), GetTimeInSeconds(), HalQueryRealTimeClock(), HalSetRealTimeClock(), Host_Sleep(), IntDispatchMessage(), JobTimeToTimeString(), KeUpdateSystemTime(), KiCheckForTimerExpiration(), KiTimerExpiration(), KsGetDefaultClockTime(), CKsProxy::KsGetPhysicalTime(), CKsProxy::KsGetTime(), KspBusWorkerRoutine(), KsServiceBusEnumCreateRequest(), KsServiceBusEnumPnpRequest(), KsSetDefaultClockTime(), CKsProxy::KsSetPhysicalTime(), CKsProxy::KsSetTime(), LogfAllocAndBuildNewRecord(), LogfReportEvent(), LsarCreateSecret(), LsarSetSecret(), LsarStorePrivateData(), MmeGetPosition(), MonthCalSetLocalTime(), NetrRemoteTOD(), NtAllocateUuids(), NtProcessStartup(), OnInitDialog(), ParseDate(), Ping(), PRINT_RECORD(), PrintDateTime(), ProcessPortMessage(), ProcessTest(), ProcessTimers(), QuerySystemTimeMs(), QueryTime(), ReportTimes(), RtlSecondsSince1970ToTime(), RtlSecondsSince1980ToTime(), RtlTimeFieldsToTime(), RtlTimeToElapsedTimeFields(), RtlTimeToSecondsSince1970(), RtlTimeToSecondsSince1980(), RtlTimeToTimeFields(), SetLocalSystemTime(), SetScreenSaver(), SignalObjectAndWait(), SleepConditionVariableCS(), SleepConditionVariableSRW(), SleepEx(), START_TEST(), TdiDisconnect(), Time2Str(), TimeToMsString(), USBPORT_StartTimer(), WaitForMultipleObjectsEx(), WaitForSingleObjectEx(), WdmAudGetWavePositionByLegacy(), and xclip_handle_SelectionNotify(). Definition at line 104 of file time.c. Referenced by _Success_(), CalcVolumeSerialNumber(), ConvertSystemTimeToFileTime(), DosDateTimeToFileTime(), ExpSetTimeZoneInformation(), FatFatDateToNtTime(), FatFatTimeToNtTime(), FatGetCurrentFatTime(), FileTimeToDosDateTime(), FileTimeToSystemTime(), FsdDosDateTimeToSystemTime(), FsdSystemTimeToDosDateTime(), GetLocalTime(), GetSystemTime(), KeSetSystemTime(), MsvpCheckLogonHours(), NtSetSystemTime(), Phase1InitializationDiscard(), RtlTimeFieldsToTime(), RtlTimeToElapsedTimeFields(), RtlTimeToTimeFields(), SetDiskSignature(), SetLocalTime(), SetSystemTime(), SystemTimeToFileTime(), UDFTimeToNT(), and UDFTimeToUDF().